this post is sponsored by Procter & Gamble however all thoughts, opinions and experiences are my own. it has been the craziest couple of weeks here at Blushing Basics. between family vacations, New York Fashion Week and now T-man's work conference i am left scrambling. 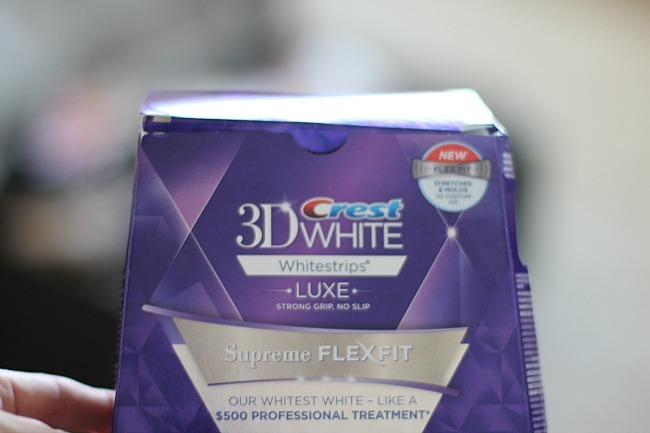 i have packed and unpacked my luggage several times in two weeks and today i want to share one of my essential top secret tools that i pack with me: Crest 3D White Supreme FlexFit Whitestrips! with all of this traveling comes a lot of picture taking. saying cheese for the camera is no big deal but when you do it you want your smile to radiate. white teeth help make your smile bright and you don't need special trays or dental visits for custom fittings when these easy to pack strips will do the trick! 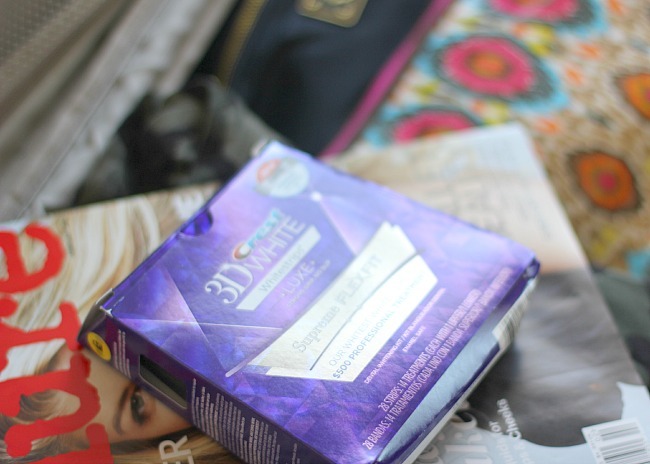 the Crest 3D White Whitestrips are so easy to pack. throw them in your purse and you can whiten whenever you'd like. i can whiten during a layover - or in my recent case my two day extension in New York would have been a white teeth overhaul had i remembered to not pack these in my checked luggage! 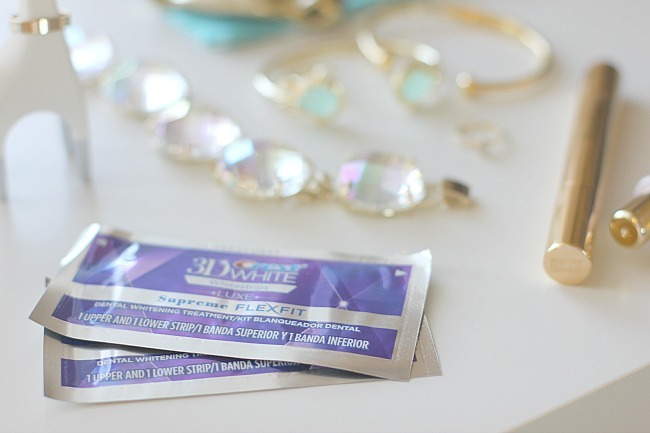 whatever the case whitening has become quicker and easier than ever with these Whitestrips. i just landed in Houston, Texas last night and i made it here with Tman for an Allergy & Immunology conference. i will not be attending the conference (phew!) but i will be joining T for all of the dinners and evening events. tonight in particular is an Art Trust Fundraiser that is a semiformal event. i have packed along my favorite black dress from NYFW in September as well as some great jewelry and shoes. with my Whitestrips going to work on brightening my smile i am all set. the FlexFit technology allows the Whitestrips to flex and stretch to your teeth for superior coverage and better whitening. now that i have shared with you how i get red carpet ready for all my high stakes moments when i want to look my best i would encourage you to check out the E! Live from the Red Carpet Pre-Show special on Sunday, February 22. check out the stars and how they prepared for the awards, what dresses they chose and what hairstyles and makeup helped compliment their look. you can also follow @3DWhite and the #StrikeASmile conversation on Instagram and Twitter to stay informed.